If you have never made a tomato bisque, you are in for a treat. If you have made a tomato bisque, this one could be ever better. Moral of this soup story: this tomato bisque is perfect. 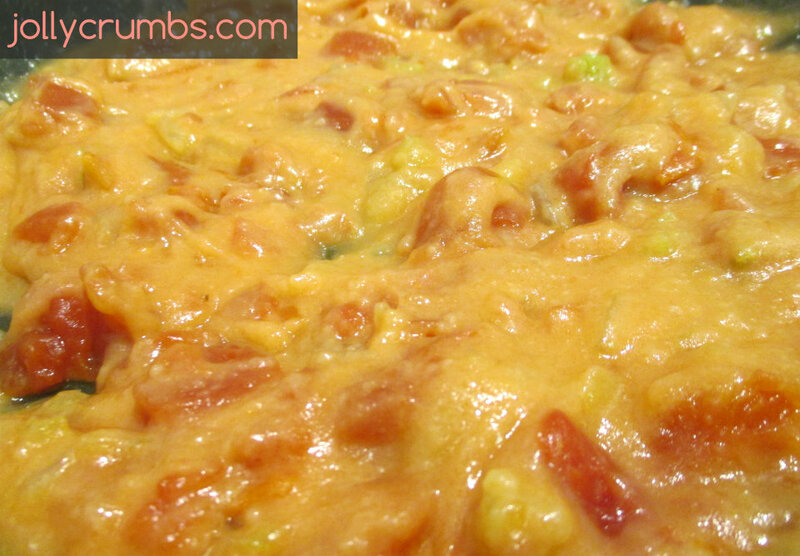 It’s thick, creamy, and perfectly tomato-y. If grilled cheese has a best friend, this is it. This soup is very easy to make, and most of the work is done in a crock pot. You could also do this on the stove if you don’t have a slow cooker. Also, this bisque can be chunky or smooth. I prefer smooth, so I blend this soup. If you like a chunky bisque, feel free to leave it as such. This is my favorite tomato soup, ever. Samuel typically doesn’t like tomato soup, but he’ll eat this one. Trust me, this one is good. The first step for this bisque isn’t really a real step. Throw your canned tomatoes with their juice, the diced celery, carrots, onions, and vegetable broth into the crock pot. Cover and let your crock pot cook on LOW for about 5 to 7 hours. You can get away with 8 hours if you need to. When you are 30 minutes away from when you’d like to eat or serve, make a roux. I’ve done this for several recipes on my blog, and it’s very easy. Melt the butter in a large skillet over low heat. Once melted, add the flour in. Stir continuously for 5 minutes. The roux should turn a nice golden color and become a thicker paste. If it looks loose or not golden enough, cook for a few minutes longer. Don’t worry if it still doesn’t look right. It will still thicken up the soup just fine! Once you have your roux, slowly add in 1 cup of hot soup from the crock pot. Stir until everything is well combined. Next, add in 3 more cups of hot soup. Stir until everything is once again combined and smooth. If you don’t have a large skillet that can hold all the liquid and roux, go ahead and use a large pot or sauce pot. Add everything in the skillet back to the crock pot. Stir in the Parmesan cheese, warmed half and half, salt and pepper. 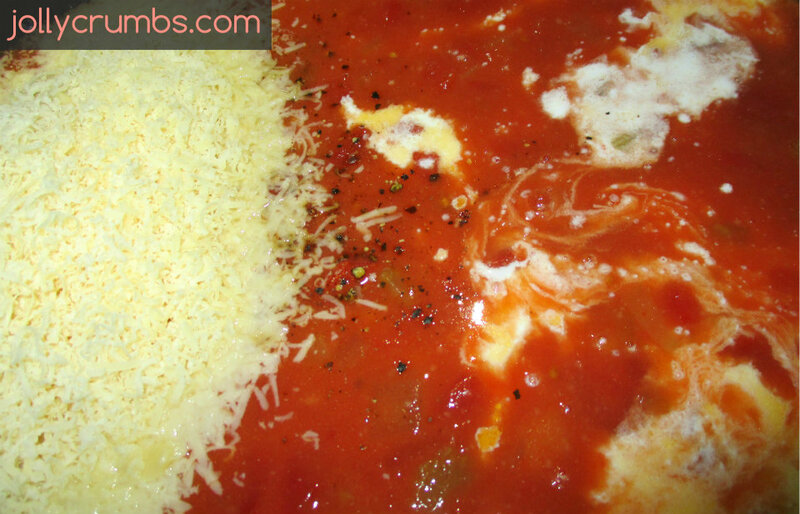 Stir until the cheese is melted and everything is combined. Now comes decision time. Do you want your bisque to be chunky, smooth, or a little bit of both? If you want it chunky, proceed on to the next step. If you want it smooth or a little bit of both, bust out your blender or immersion blender. Samuel got me an immersion blender for Christmas, so I wanted to use it on this soup. I’ve also ladled this soup into a blender before and it worked just fine. Blend as little or as much of this soup as you’d like. We prefer it perfectly smooth, so I blended the entire batch. Once you have the texture you desire, cover and let it cook on LOW for 30 more minutes, or until you are ready to serve. You can top with additional cheese if you’d like. I don’t think it needs it, but I’ll let you be the judge on that! This is a wonderful soup, and one already on rotation for Soup Sunday. If you are an enjoyer of tomato soup out of a can, this will blow your mind and your taste buds. You won’t be able look at tomato soup or bisque the same after having this. I’ve paired this with gooey cheese sandwiches and caprese paninis (which will be posted soon!). It is wonderful with a sandwich on the side. And it is completely filling. This is so simple to make. 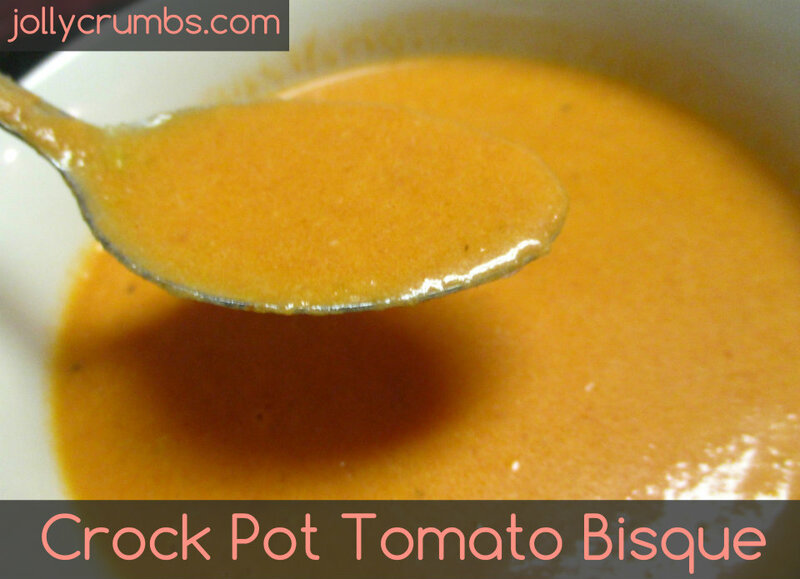 You are bound to have a new favorite tomato bisque soup on your hands! Place the tomatoes, celery, carrots, onions, and vegetable broth into the crock pot. Cover and cook on LOW for 5 to 7 hours. Thirty minutes before you want to serve the soup, make a roux. Melt the butter over low heat in a large skillet. Add the flour to the melted butter. Stir constantly for 5 minutes. The flour and butter should turn into a golden paste. Slowly add in 1 cup of hot soup. Stir until well combined. Add in 3 more cups of soup. Stir until everything is smooth. Add everything back into the crock pot. Stir in parmesan cheese, warmed half and half, salt, and pepper. If you would like a smooth soup or partially smooth soup, ladle the hot soup unto a blender and blend until smooth. You can also use an immersion blender to make the soup as smooth as you’d like. Or you can leave it chunky. Cover and let cook on LOW for another 30 minutes in the crock pot, or until you are ready to serve. I have blended and pureed this soup, and I love it that way. You can definitely leave it chunky if you would prefer. I just love smooth tomato bisque. This soup is perfect with a sandwich or crusty bread. 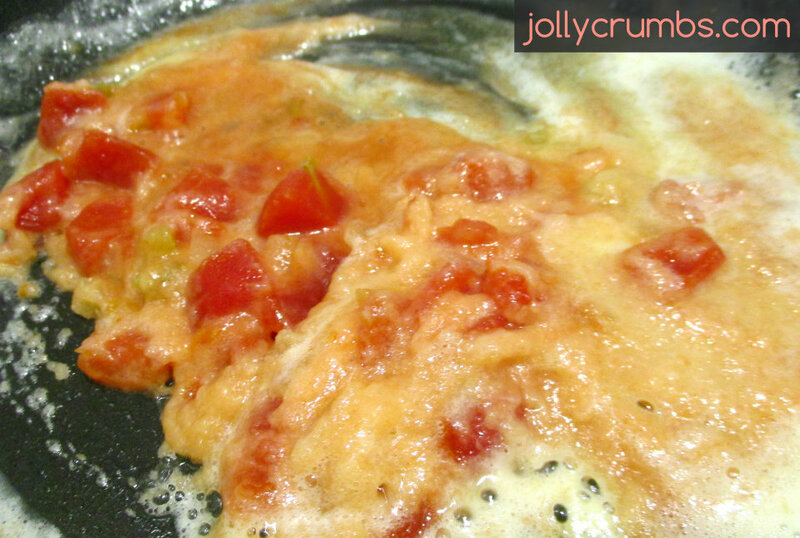 If you would like it blended or pureed, you can ladle it into a blender or use an immersion blender. I’ve done it both ways with success. You can add in basil and oregano if you would like. I prefer this soup without it, but it’s entirely up to you!